A great beacon of fiery light upon it. Parthenios reposed obtaining a long sabbath sleep. Saint Parthenios was the son of the deacon Christodoulos from Melitopolis on the Hellespont. Although illiterate, he listened attentively to the reading of Holy Scripture in church, and he did his best to put what he heard into practice. Working as a fisherman, he would give whatever he earned from the sale of his catch to the poor, keeping nothing for himself. His charity became well-known in the area, and Philetos, the Bishop of Melitopolis, obliged him to accept ordination to the priesthood, with a commission to traverse the diocese visiting the Christians in their homes. The grace of God brought forth abundant fruit in him through many miracles and healings. One day, he met a man on the road whose eye had been dislodged by the horn of a bull. He restored the eye to its socket and healed the wound. On another occasion, he cured a woman of a fatal cancer solely by the sign of the Cross. Then again, when a mad dog attacked him, he brought the creature down stone dead with a simple puff of his breath. 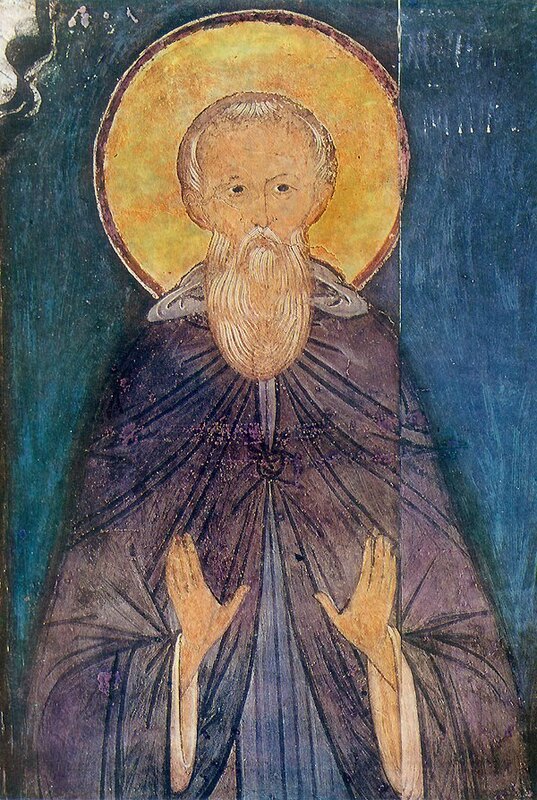 Confronted by so many indications of divine favor, Ascholios, the Metropolitan of Cyzicus, consecrated him Bishop of the city of Lampsakos, which was still in the depths of idolatry. By means of fasting, prayers and inspired words, and through the example of his evangelic way of life, the Saint succeeded in converting the city. When he visited the court of Saint Constantine the Great he was authorized to destroy the pagan temples of Lampsakos and given funds for constructing a church. On the completion of the building, a large stone was being brought to cover the altar when the envious devil caused the oxen to go out of control, resulting in the death the driver who was crushed beneath the wheels of the cart. The Saint immediately addressed a fervent prayer to the Lord, and the dead man was restored to life. 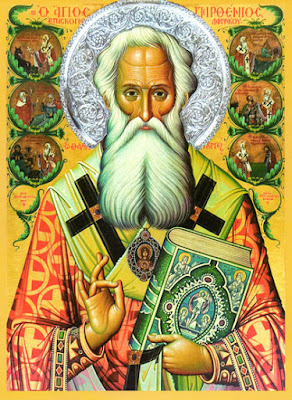 Saint Parthenios was the loving father and the very providence of his city. He unfailingly healed every illness, making the doctors superfluous, to their great vexation. As light scatters darkness, at his coming the demons took flight. One day he commanded a devil to depart from a poor man, but the evil spirit entreated him, ‘Give me a place where I can live until the time of the dread Judgement or, at least, let me inhabit swine' (cf. Matt. 8:32). One day Parthenios went to Heraclea, the chief city of Thrace, whose Bishop Hypatian was very ill. God revealed to the Saint that avarice was the true cause of his disease. ‘Get up,’ he told the prelate. Conscious of his sin, Hypatian offered all his goods for Parthenios to distribute to the needy. 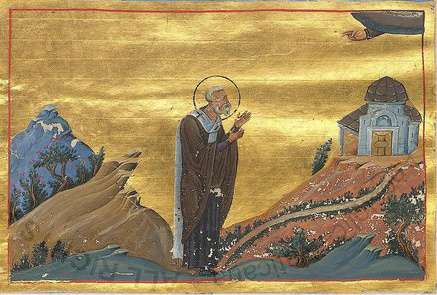 ‘But no,’ said the man of God, 'since God grants you strength, it is up to you to give the poor what they have a right to.’ The Metropolitan then had himself carried to the Church of Saint Glykeria, the patroness of the city, and he distributed all his possessions to the needy assembled there. Three days later he was restored to health. While staying at Heraclea, Saint Parthenios healed other sick people, and blessed fields and crops, predicting exactly what their yield would be. On taking leave of the Metropolitan, the Saint indicated that his own death was near at hand and he named his successor. Soon after returning to Lampsakos, he gave back his soul to God, bequeathing to his flock the sweet savor of his miracles and the example of his holy life. As soon as they heard the news, all the bishops of the region hastened to pay their respects at his funeral and to send up to God fervent prayers of thanksgiving. 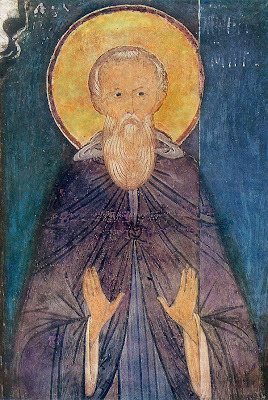 From The Synaxarion, Vol. 3, Holy Convent of the Annunciation of Our Lady, Ormylia (pg. 440-442). In truth you were revealed to your flock as a rule of faith, an image of humility and a teacher of abstinence; your humility exalted you; your poverty enriched you. Hierarch Father Parthenios, entreat Christ our God that our souls may be saved. Since thou hadst received God's grace to work ineffable marvels, godly-wise Parthenios, thou sacred worker of wonders, thou didst wholly cleanse the faithful of all their passions, casting wicked spirits out, O God-bearing Father; for this cause we sing thy praise as a great initiate of the divine grace of God.